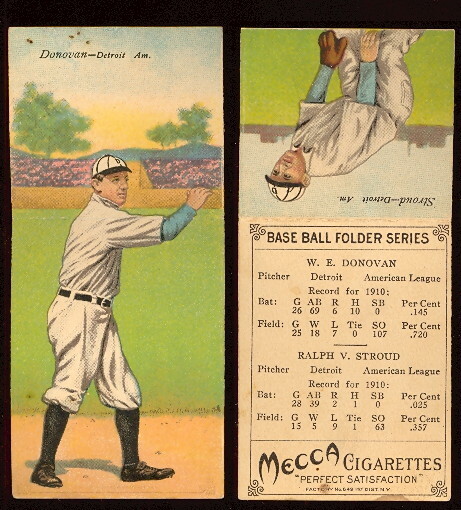 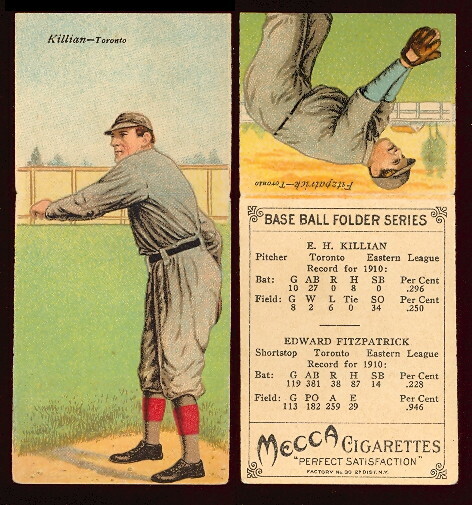 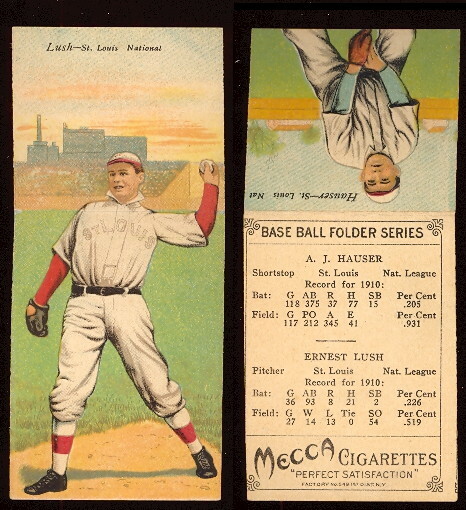 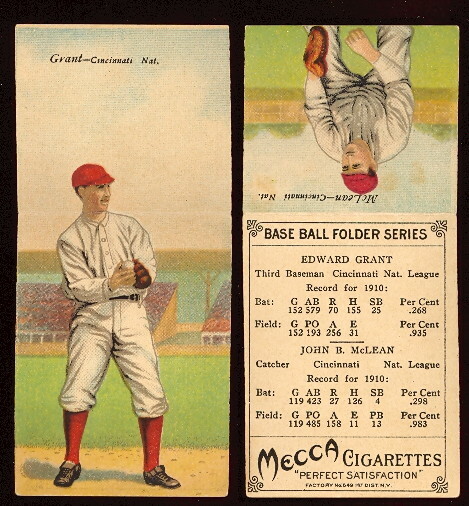 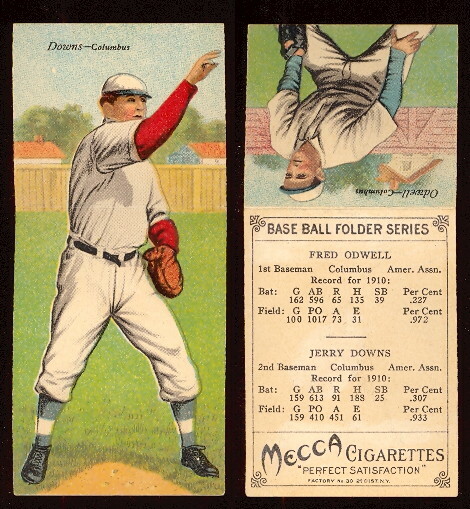 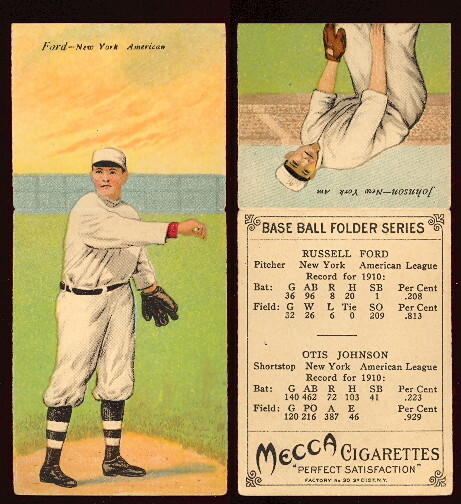 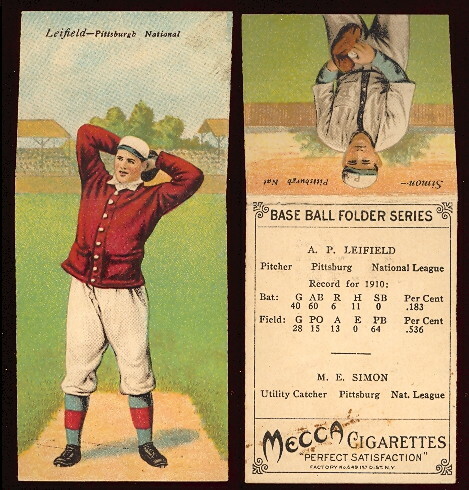 The cards were found in Mecca cigarettes featuring one player when the card is opened and another player when the card is folded. 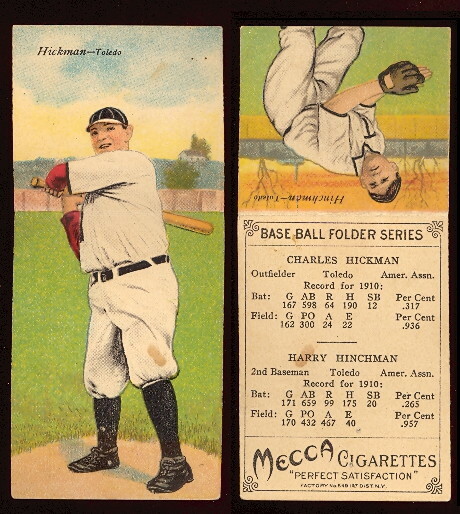 They measure 2 1/8" x 4 11/16" (approx. 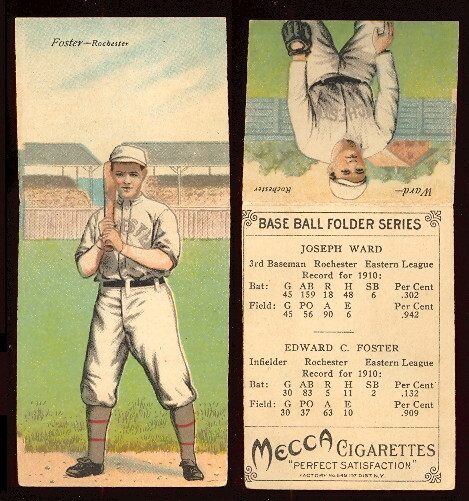 2 1/8" x 2 7/8" when closed, pictures are in color and the first to use player statistics. 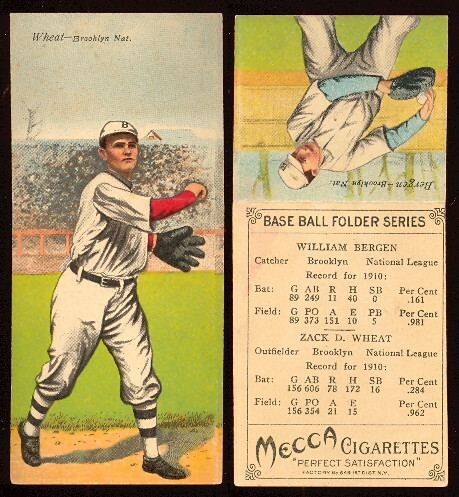 The 50 card Set contains 100 different players including many Hall of Famers.